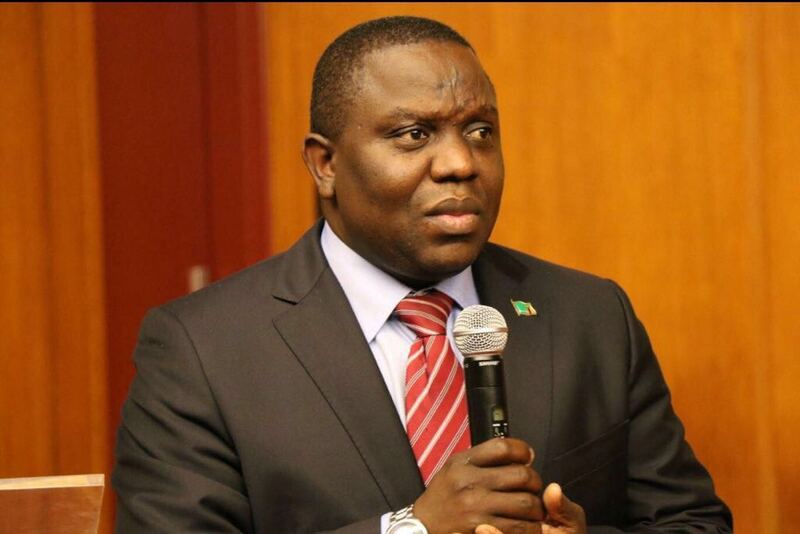 Former Minister of Foreign Affairs Harry Kalaba he will not be forced or yield to demands from his colleagues to resign to prove that he is a man of mettle. He said he was silent because he didn’t want to be a chatterbox. Yesterday, I promised to share my thoughts with you today and from the overwhelming response I have seen on my wall over the last 24 hours, I can sense a certain kind of positive anticipation about what I was to say. Thank you for your valuable contributions and insights and thank you for your moral support and encouragement. Well, you have all heard the numerous calls from my fellow members of the Patriotic Front for me to resign from the Party if I am man enough. Some of these calls have been made by people I consider to be my brothers and sisters. I have been called all sorts of names and accused of treachery and betrayal simply for having an opinion. Many of those making the allegations or challenging me to quit from the Party are doing so probably with a silent expectation to provoke a reaction from me. This is a failed formula usually adopted by those who resist the rules of mutual engagement and responsible dialogue. But let me put something very straight, I will not attempt to preoccupy myself with proving what God has already established and done. He made me a man and man enough for that matter and I do not need to do anything to prove that. Resigning from the Party is not what will make me a man because I am already a man. I do not subscribe to the simplicity of vindictiveness and possessive aggression. When you choose to consider yourself among men of honour, it is imperative that you should treasure the difficulty inherent in remaining silent even when provoked beyond measure. Being sober minded and understanding the call on your life comes at a price. Those who are not prepared to pay the price opt out and resort to incessant and volatile utterances that more often than not just end up demeaning them. I’m not quiet because there isn’t a lot to talk about or reveal. There is actualy a lot. I can choose to talk about so many things in similar fashion to what Zambia has now become accustomed to but that approach has clearly and unquestionably failed before and has done very little to change the circumstances of you our people. In this regard, I am silent because in the silence of reflection, inspiration dawns – inspiration, which is often held in position by the strands of temperance and by its nature holds the promise of real and practical impact. We have all come to learn that those who choose to talk at the slightest of provocation are often admonished and mistaken for glorious chatter-machines; why then should we pursue those who elect self-restraint and measured aggression even when provoked and insulted? What shall it profit this country if our leaders choose to abandon their solemn duties and elect to spend government time dancing on the fortunes of negligence? What shall it profit this country if leaders, in the apparent disregard for the timelessness of time, elect to use their precious time inducing aggression in the minds of those who must be helped to understand the virtues of free expression? Why should difference of professional opinion mean the same thing as the end of brotherhood? This is the kind of politics we all must rise against. I made a choice to leave my cabinet portfolio not because I decided to make enemies of all my brothers and sisters in the Party and Government. Most of them are still my brothers and sisters even if we may differ in the interpretation of issues. Those who want me to become a talking – Tom even for no just cause have no care for this country and its people. I will simply not be tempted. I elect solemn silence, observation and reflection, over the prospect of forever singing soprano on the platform of public relevance. God bless you all, always.